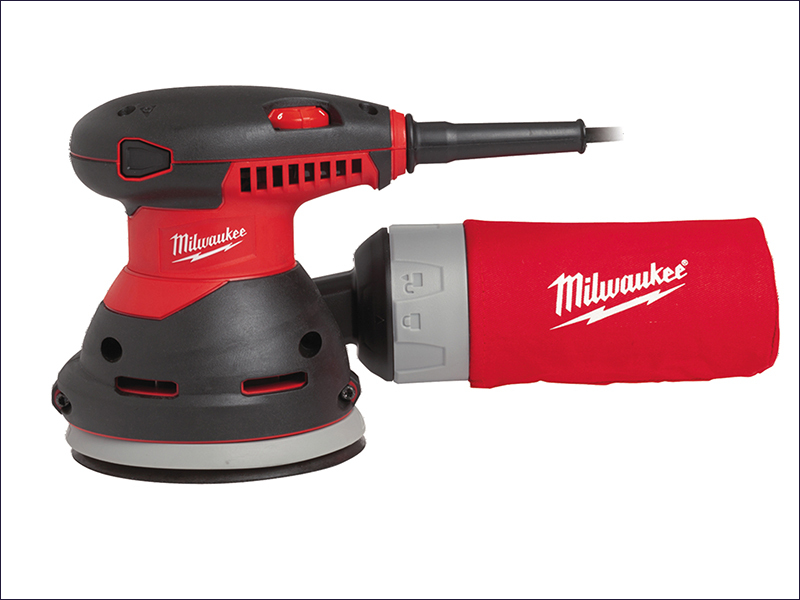 The Milwaukee ROS 125 E Random Orbital Sander is ideal for sanding of wood, metal and plastics within confined spaces. It has a powerful 300 Watt motor with 2.4 mm orbital action. Its variable speed (7,000-12,000 rpm) is especially useful for heat-sensitive materials. The sander has a base plate with fibre reinforcement and takes 8 hole hook and loop paper. It has excellent dust extraction with 90% dust collection efficiency and a large dust bag, which is easy to clean. An on-board vacuum adaptor fits standard 36 mm vacuum hoses. Supplied with textile dust bag and sanding paper set (60, 80, 120 grit). Oscillation Rate: 14,000 - 26,000/min.